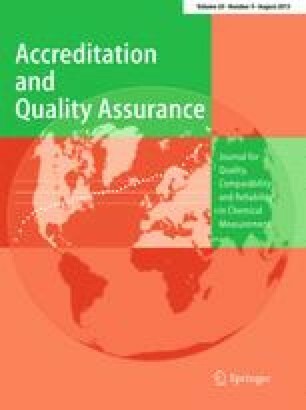 A summary of the working group discussions on proficiency testing (PT) and external quality assessment (EQA) held at the Eurachem Workshop, Berlin, Germany, 6–9 October 2014 is provided. The working groups covered a range of issues concerned with current practice and future directions: review of ISO/IEC 17043; user perspective of PT/EQA; sampling PT/EQA; the revised ISO 13528; PT/EQA in developing countries; and harmonisation of performance assessment in qualitative PT/EQA. Delegates from 64 countries attended the workshop, and this diversity of different backgrounds was represented on each of the working groups in order to capture a range of views and experience from a number of different measurement sectors. Working group representatives included PT/EQA providers, participants in PT/EQA schemes, end-users of PT/EQA results such as accreditation bodies and regulatory authorities, national measurement institutes, laboratory associations, universities and independent consultants from countries around the world. The authors (who were conveners of the working groups) would like to thank the co-conveners, Frank Baumeister, Ewa Bulska, Christian Lehmann, Ian Mann, Dragan Nikolic, Erika Śárkány, Lorens Sibbesen and Ulla Tiikkainen along with all the attendees at the working groups.